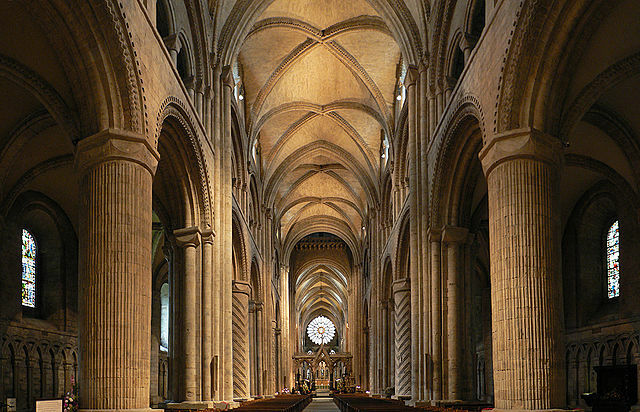 Following his conquest of England, William the Conquerer financed one of the largest cathedrals in Europe, the cathedral of Durham. Structurally, it builds on the advances made at Speyer, and engineering technology account for its great size. It is indicative of the English spin on Romanesque architecture.